GBA is preparing for their Annual General Meeting (AGM) on May 30th, 2010, when the GBA Council will meet to vote in the executive leadership for 2010 – 2012. Leading up to the AGM, the Interim GBA Executive will be touring Gauteng to register Members and circulate the draft Constitution, Vision, Values and new GBA Model to be formalised by the GBA Council. Travelling with the Interim Exec, the U18 Team GBA squads will be playing exhibition games at these events.GBA will kick-off a Roadshow throughout Gauteng in May, in a bid to meet basketball community leaders, players, coaches, referees and friends of the sport. The primary purpose of the Roadshow (other than to exhibit the great talent of the Team GBA U18s) is to register Members, Teams, Clubs, Affiliates and Regional Associations in preparation for the GBA AGM on May 30th, 2010, as well as for future GBA activities such as the GBL and provincial team call-ups. The draft constitution,vision, values and new GBA model will be presented and interrogated at these events by the basketball community to be ratified by the GBA Council at the upcoming AGM. Anyone who has an interest in these proceedings is invited to attend at the venue of their choice. • Johannesburg: 2 May 2010. 9am to 12, Holy Family College, 40 Oxford Rd, Parktown. • Pretoria: 9th May 2010, 9am to 12, University of Pretoria. • The Vaal: 15 May 2010, 9am to 12, venue to be announced. 2010 Registration/Affiliation fees are due by 29 May and proof of payment must be in the hands of the GBA secretariat by 9am on 30 May 2010. No Member, Team, Club, Affiliate or Regional Association will be recognised unless they are properly constituted as per the GBA definitions and are in good financial standing in respect to GBA registration/affiliation fees. • Exemptions – Members, Teams and Clubs registered with Schools Basketball or USSA are exempt from paying registration fees if they are not participating in GBA organized activities. Also, teams and clubs not participating in GBA activities. • Any legal person who is actively involved in organised basketball activity within Gauteng, ie players; coaches; technical officials; administrators. • Members may attend GBA Council meetings and can petition to be heard during a GBA Council meeting. • Members have no vote in the GBA Council (BUT members will vote on May 30, 2010). • Must consist of at least 7 players. • Must have at least one representative in the GBA Council if it does not form part of a Club, Affiliate or Regional Association already registered with GBA. • A Team will have one vote in the GBA Council. • Must consist of, at least, one male (junior or senior) and one female Team (junior or senior) Team. • A Club should have at least one junior Team (male or female). A junior Team is considered to consist of players who are aged 19 or below. • A Club must have a proper constitution and at least two duly elected representatives who will serve on the GBA Council, and each Club will be entitled to one vote. • Recognised national associations who organise basketball activity within the province, ie USSA; Schools Basketball, the Masters Association; South African National Defence Force (SANDF). • Affiliates are to have at least two duly elected representatives on the GBA Council and each Affiliate is entitled to one vote on the GBA Council. • Any regional not-for-profit grouping that organises basketball activities within the province on an ongoing basis, or which was formed for the purpose of organising basketball activity and operates in Gauteng. • GBA will not recognise a Regional Association as such, until and unless the applicant can provide written proof of its Membership. • Regional Associations are to have proper constitutions that indicate clearly their purpose as well as the location of their headquarters. • Regional Associations must have at least two duly elected representatives on the GBA Council and each Regional Association is entitled to one vote on the GBA Council. 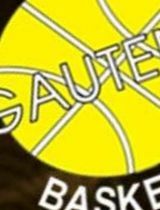 Every active Member, Team, Club, Affiliate or Regional Association that engages in organized basketball activities within the Gauteng province is obliged to pay annual registration/affiliation fees to GBA and is entitled to have representation on the GBA council. They are also barred from participating in non-GBA sanctioned basketball activity. All organised basketball activity in the province of Gauteng is governed by GBA and must be sanctioned by the GBA Executive. Any individual or entity in contravention of this rule will be subject to disciplinary action by the GBA Executive and/or Basketball South Africa. The Gauteng Basketball Association is the official provincial representative for Gauteng in the General Assembly of Basketball South Africa, a Member of the South African Sports Confederation Olympic Committee (SASCOC). For more information about these events, please send your queries to the GBA secretariat via email on baskteballgp@gmail.com. GBA is also now on Twitter so look us up via email – baskteballgp@gmail.com and keep us up to date with the latest basketball activities happening in your neighbourhood. Good luck guys, may you find zero obstacles.